Even when individuals have been living in Serbia for generations, without an official record of their existence in the territory of Serbia, they are seen by the state as legally invisible. They are not recognized as persons before the law and from a legal standpoint they do not exist.Their birth was not registered in the registry books and as a consequence, they do not have Serbian citizenship. 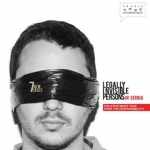 Legally invisible persons are some of the most vulnerable individuals in Serbia and are systematically victimized. They are unable to exercise their rights to nationality, residence, to personal documents, they do not have freedom of movement, they cannot register their children at birth, they have no access to health care, social welfare, employment, property, etc.